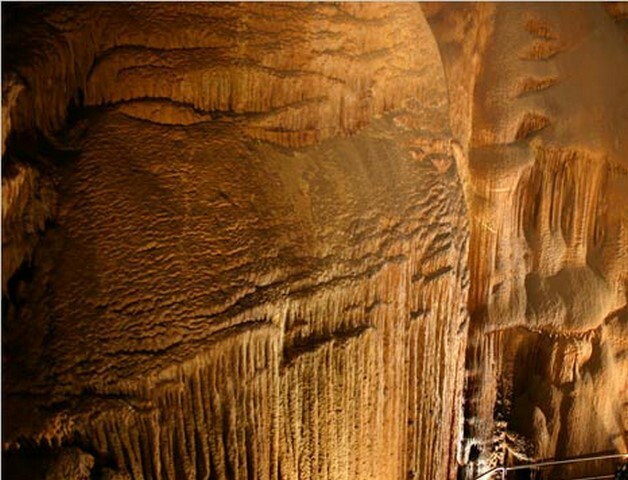 As long as you do not mind underground places then I have saved the best till last and that is the Mammoth Cave National Park. 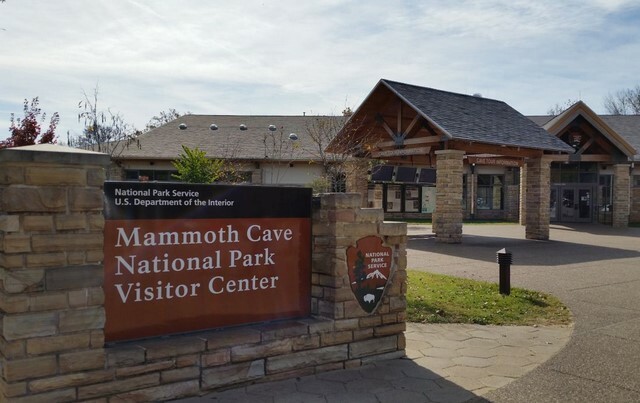 Mammoth Cave is nine miles northwest of I-65 and is about an equal distance of 85 miles from both Louisville, Kentucky, and Nashville, Tennessee. So depending on your location it can be reached without too much fuss. If you come up from the south then you should take the exit at Park City and follow the signs to the park. If you come from the north then take the exit at Cave City and again follow the signs to the park. 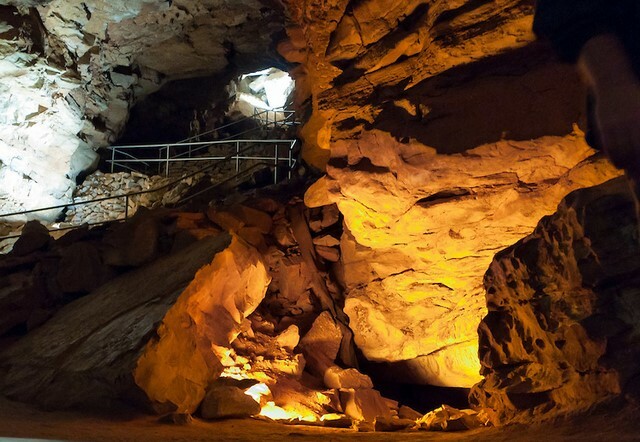 The caves are open all year round and once you are underground then it does not matter. The climate below ground stays pretty much the same every day. This means that the temperatures in interior passages do not alter much from a low in the mid-50s to a high in the low 60s. If you go in the summer then you should expect more people but there are also more frequent tours. Although there are fewer tours away from the peak periods they are less crowded and I would defiantly recommend this as your best option if possible. 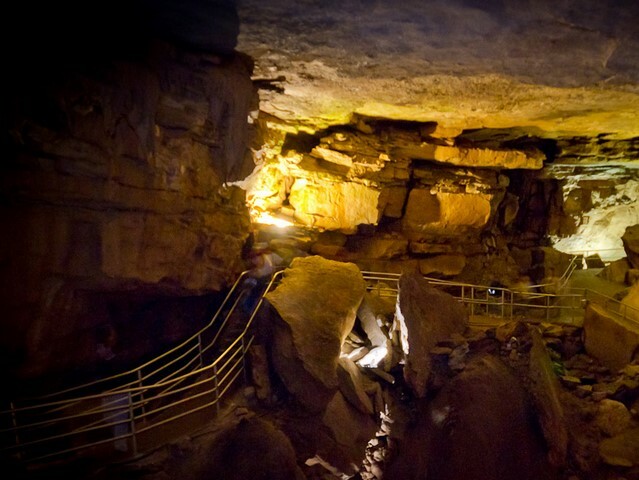 If you visit during the summer months it is possible to explore a tiny part of the cave without a ranger, however all other areas of the cave require a ranger guide. In the summer reservations are strongly recommended as tours sell out quickly, but at other times of year it is usually possible to sign up for a tour when you arrive at the park. The tours vary greatly in both the distance they cover and the type of terrain they encounter so it is really important that you pick ones that fit into your time schedule and fitness level. The cost of the tours will of course depend on the duration with the shorter ones starting at around $10 per person. The price then climbs as you descend further into the caves with the most expensive and longest tours starting around $50 per person. 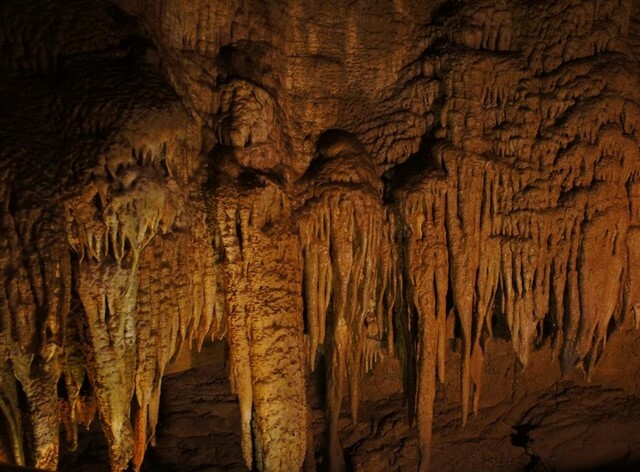 To enjoy the caves safely and comfortably you should wear shoes with non slip soles and take a jacket because it can get chilly. 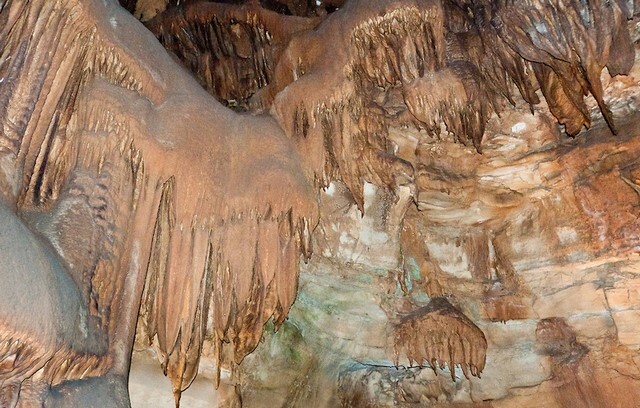 The cave itself is approximately fifteen million years old. 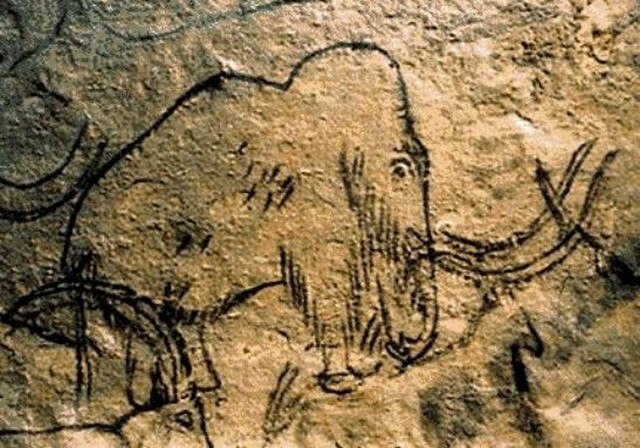 It is thought that humans have been visiting the cave for about four thousand years, although it was only discovered by non Native Americans in 1797. 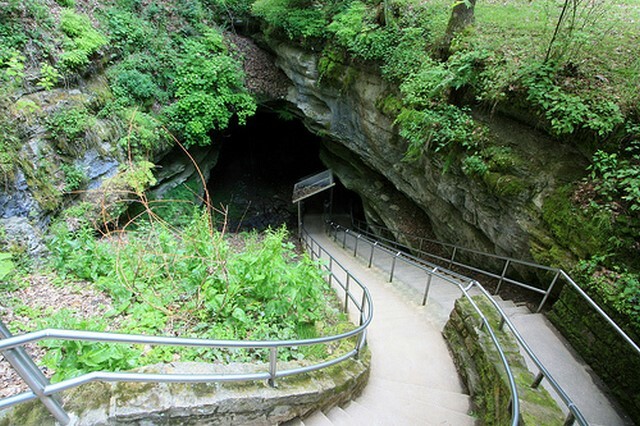 The cave was mined for nitrates that were used in the manufacture of gunpowder, however after the war of 1812 ended it was sold and cave tours became popular. 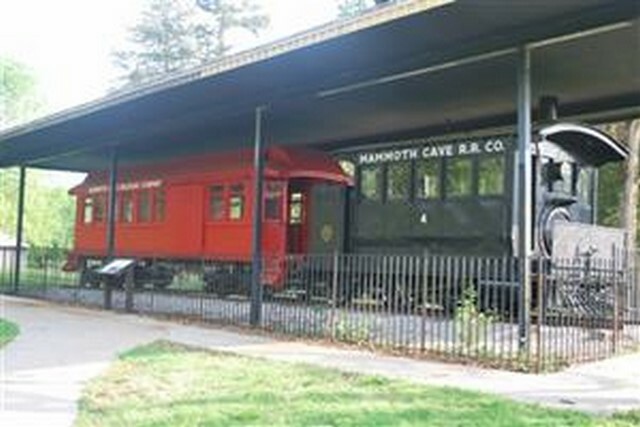 After a period of over two hundred years as a tourist attraction Mammoth Cave is one of North America' s oldest tourist destinations. 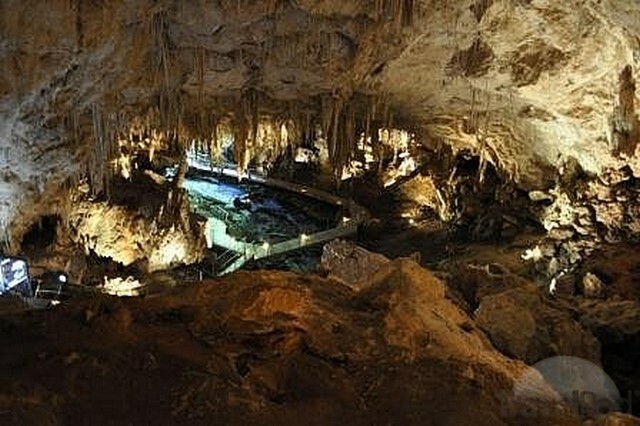 In the next section I will explain a little of the geology of the caves and some of the tours you can take. Viewed 2475 times since 2 June 2016.